Tutorial by Marian Schmidt, PhD candidate at the University of Michigan and Software Carpentry instructor. Fun presentation! Have used knitR and Rmarkdown for analysis script files before, but I didn’t even know that github could be accessed through the RStudio interface. Appreciated spending time on these tasks discussing how to automate, generate report, and documenting workflow. However, I couldn’t actually get my RStudio to connect to my github account. (See bottom explanation and screenshot with errors.) Any help or suggestions for how to proceed with this would be greatly appreciated! Google results didn’t come up with much, but probably missing something. Otherwise, could make and push .Rmd files to github via commandline, great. Marian’s Link, great Key Resources listed on the page, go look! How is everyone feeling? Who is Amy Cuddy? Do a power pose! What do you need to reproduce Figure? Producing a figure removes the figure from the scientific code used to generate the figure. Unless you have someone looking at your code, using it to produce similar figures. Let’s keep figures and code connected. Suggestion for hackathons with people using similar code to put in different datasets, test, everyone is thinking about the code, using the code, and making sure it is robust. Use pre-existing libraries and packages when possible. Groups of people testing these functions, then goes out into ‘Rsphere’. Where are your files? If you wanted to go to a project, and look at the most current results you are working on. Where are they? Could you send a link to collaborators? comment moreIn github, make repository. Even though my git is installed and functional on the commandline, path to git executable input to RStudio will not work and keeps indicating that git is not detected on the system path. 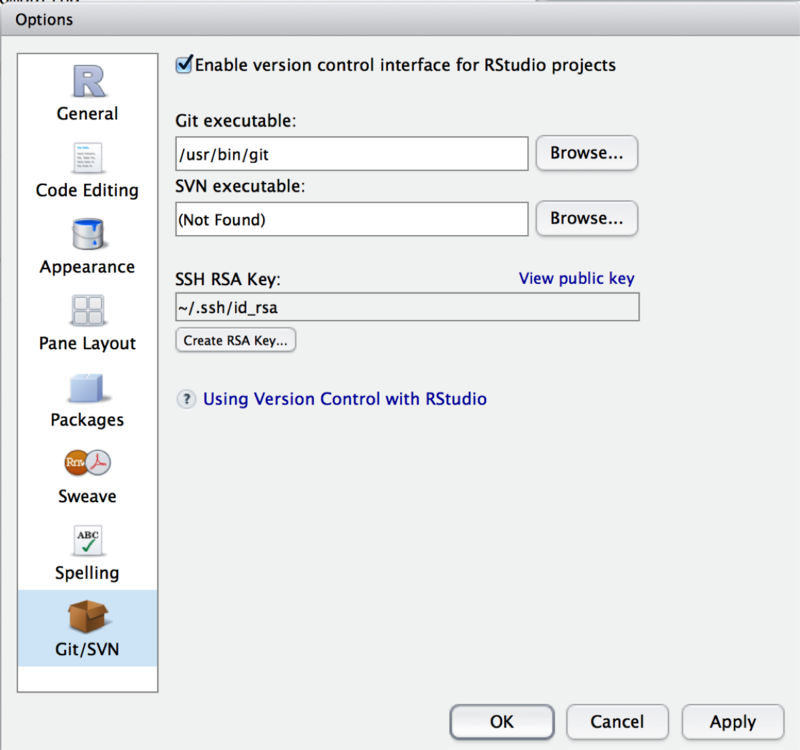 I even deleted RStudio, downloaded the lastest version (since mine was old). It still could not detect git in system path. What to do? Had lots of help trying to figure this out during the tutorial and could proceed just not with GUI. Something weird is going on. From the commandline, can push files to github repo so really not a big deal. Here is some of the output from the practice script we did as a class, yay .Rmd works! 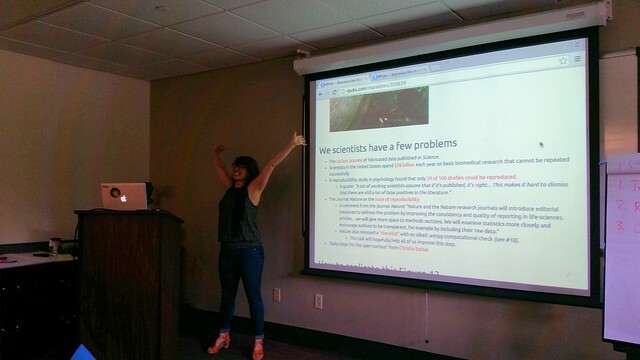 This entry was posted in Genomics Workshop, github, R, reproducibility, workshops. Bookmark the permalink.